A Furnace that Isn’t Picky About Fuel | Century 21 Birchwood - List With Us...Consider It Sold! In this era of rising energy prices and cost-conscious homeownership, we’ve noticed wood heat is enjoying a resurgence. Makes sense — in regions where wood is plentiful, you can heat an entire house for less than $1,000 per year. All that makes us intrigued by a relatively new generation of multi-fuel furnaces that can switch between wood, oil, coal, and electricity. These aren’t those jaunty wood heaters you see perched in the corners of log homes. Rather, they’re full-on forced-air furnaces you’re likely to find in the basement. They primarily burn firewood, and they’re capable of heating homes up to 5,000 sq. ft. The trick is that when the fire gets low, they automatically switch to burning an alternative fuel of your choice. Armed with a backup heat source, your house stays toasty even if you’re not at home to replenish the wood supply. 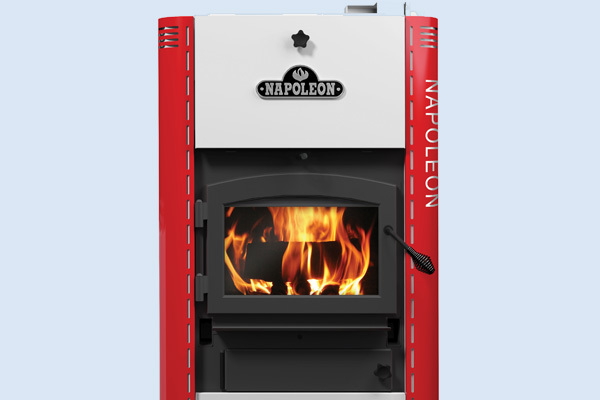 Case in point: The recently released Hybrid HMF150 furnace ($3,200) from Napoleon. This brainiac of a wood-burning furnace knows when the combustion chamber is down to its last glowing ember — and deftly switches to an alternate fuel of your choosing: electricity or oil. Other multi-fuel furnace makers include Yukon and Charmaster. Most wood-burning furnaces meet today’s strict EPA standards for emissions, thanks to a secondary combustion chamber that reignites unburned particles and gases to squeeze every BTU from wood fuels while keeping emissions in check. So How Many People Burn Wood? Thanks to upward-trending heating oil prices in the Northeast that have sent consumers in search of alternative means of staying warm, wood-burning (and pellet-burning) heating appliances are on the rise. The U.S. Census Bureau estimates that the number of households using wood fuel as a primary heat source has increased from 1.87 million in 2005 to 2.47 million in 2011. Wood heat is especially popular in areas where firewood is cheap and plentiful. If you have your own woodlot, you can heat virtually for free (you’ve got to chop it, though). For greenies, opting for wood, pellets, and other renewable resources can be an environmentally responsible choice. Although you’d have to check to see if these multi-fuel furnaces are eligible, the IRS is offering a $300 tax credit for biomass appliances through 2013; stay tuned to see if that credit is extended for 2014.